This Society shall be known as The Metallurgy and Materials Society of the Canadian Institute of Mining, Metallurgy and Petroleum. d. encouraging interest and the advancement of education in metallurgy and materials science. The Society shall be governed by its By-Laws and by the Constitution and By-Laws of the Canadian Institute of Mining, Metallurgy and Petroleum in conformity with the laws of Canada. The Society shall be represented on the Council of the Institute by the President and the Immediate Past President. The Society’s headquarters shall be those of the Institute. The Membership of the Society shall consist of such persons who by intent or practice subscribe to the objects of the Society and who meet the requirements for various grades of membership in the Institute as specified by the By-Laws of the Institute. The regular dues of the Society are the same as those of the Institute and shall be part of the Institute treasury. All funds accruing from other sources, and such funds as may be provided by the Council of the Institute, shall be part of the Society treasury. Special dues or assessments of the Institute dues may be recommended by the Board of Directors and authorized only by a majority vote of the Membership at the Annual General Meeting of the Society, subject to the approval of the Council of the Institute. The expenditure of funds received by the Society shall be authorized by the Executive Committee of the Society. The Treasurer of the Society shall present annually a financial report to the Membership showing Society receipts from all sources and complete disbursements. The Society shall meet annually to consider any ordinary business concerning the Society which may be brought before it, including the election of Officers of the Society, and any special business, including proposed amendments of the Society’s By-Laws. The Annual General Meeting shall normally be held during the Conference of Metallurgists. Notice of the date, time and place of the Annual Meeting and any special business, including proposed amendments of the By-Laws, to be transacted at such meeting shall be given in the journals of the Society at least thirty days prior to the date of the meeting. Thirty members shall constitute a quorum. The Board of Directors of the Society shall hold at least two meetings annually. Additional meetings may be called by the President of the Society. Nine Directors shall constitute a quorum. The Executive Committee of the Society shall hold at least four meetings annually. Additional meetings may be called by the President of the Society. Four Officers shall constitute a quorum. The Officers of the Society shall be the President, the First Vice-President, the Second Vice-President, the Third Vice-President, the Immediate Past President, the Secretary and the Treasurer. These Officers shall constitute the Executive Committee of the Society. The President shall be the Chair of the Executive Committee. The Board of Directors of the Society shall consist of the President, the First Vice-President, the Second Vice-President, the Third Vice-President the Immediate Past President, the Secretary, the Treasurer, the Chairs of the Technical Sections and the Chairs of the Standing Committees. The Immediate Past President shall be the Chair of the Board of Directors. From time to time, when additional time is required for planning a special Conference of Metallurgists, a Fourth Vice-President may be appointed as a member of the Board of Directors. The duties of the Officers and Directors of the Society shall be those usually pertaining to their offices, as set out in the Society’s Operations Manual. a. The President, the First Vice-President, the Second Vice-President, the Third Vice-President and the Fourth Vice-President shall each serve a one-year term. The First Vice-President shall then succeed as President, and the Second Vice-President, shall succeed as First Vice-President; the Third Vice-President shall succeed as Second Vice-President; and the Fourth Vice President (if appointed) shall succeed as Third Vice-President. All Officers and Directors shall be members of the Society. d. The Chairs of the Standing Committees shall each be appointed by the Board at a meeting in April and take office at the following Annual General Meeting. The Society shall be composed of constituent Technical Sections, each to represent major fields of metallurgy and materials science. Technical Sections shall be designated by the Board of Directors and ratified by the Membership. The Technical Sections shall be governed by such regulations as may be formulated by the Board of Directors. Standing Committees shall be those required to achieve the objects of the Society and shall be designated by the Board of Directors. Special Committees may be designated by the Board of Directors as it may consider necessary or desirable. Such committees shall be discharged on completion of their special duties. The basic authority of the Society shall be the Membership. The Board of Directors shall be the governing body of the Society. The Executive Committee shall administer the affairs of the Society. The Board of Directors shall prepare an Operations Manual covering the functioning of the Society, setting out the regulations of the Sections, and defining the duties of Officers, Directors and Committees. A Nominating Committee of six members shall be appointed by the Executive Committee at least six months prior to the Annual General Meeting. The Nominating Committee shall include the Immediate Past President, who shall act as Chair of the Committee, and two Directors. a. the nominee for Third Vice-President, who, on election, will automatically serve a five-year term on the Board of Directors successively as Third Vice-President, Second Vice-President, First Vice-President, President and Immediate Past President (the nominee shall normally be selected from among the Board of Directors, but may be selected from the membership of the Society); and, when so required, a nominee for the position of Fourth Vice-President, who will automatically serve for a six-year term on the Board of Directors successively as Fourth Vice-President, Third-Vice-President, Second Vice-President, First Vice-President, President and Immediate Past President. c. every three years, or as the terms of the incumbents expire, the nominees for Chairs of the Standing Committees. Any ten members of the Society may submit additional nominations to the Nominating Committee for one or more of the positions specified in Article X, Section 2, providing only that such nominees meet the requirements of Article VII, Section 5. Such nominations shall be submitted to the Nominating Committed through the Secretary of the Society not later than three months prior to the Annual General Meeting, with the names and biographies of all nominees. In that event, formal voting by ballot shall take place at the Annual General Meeting, provided that the nominees are not also selected by the Nominating Committee. The nominees of the Nominating Committee shall be presented for installation at the Annual General Meeting. If additional nominations have been received as specified in Article X, Section 3, formal voting by ballot shall take place under the supervision of the President and one member from the assembly. All members of the Society in attendance shall be entitled to vote. Vacancies occurring in any office, or among the Board of Directors, except among Section Chairs, shall be filled by vote of the Board of Directors for any unexpired portion of the term of office, except in the event of a vacancy in the Society presidency, whereupon the First Vice-President shall assume the office of President for the unexpired term. Amendments to these By-Laws may be proposed by a written petition to the Board of Directors signed by not less than twenty-five members of the Society, or by a majority vote of the Board of Directors. Amendments proposed by petition shall be duly considered at the next meeting of the Board of Directors and, if it is deemed advisable by the Board of Directors, shall be submitted to the Membership. Proposed amendments shall be published in the journals of the Society at least two months prior to the Annual Meeting, and shall be submitted to the Membership for a vote at the Annual Meeting. Adoption shall result from a majority vote in favour of the proposed amendment(s). The Society’s Operations Manual does not constitute part of the By-Laws and the Board of Directors may amend the Manual without the formal approval of the Membership. To provide input into the Metallurgy and Materials Society (MetSoc) from the members interested in a related subject or discipline. To provide input and advice to the Committees of MetSoc. To promote interaction of the members of a MetSoc Section with other technical societies within and outside CIM, both nationally and internationally. To coordinate the program of the Symposia sessions at the annual Conference of Metallurgists and the CIM Annual General Meeting when required. A Section is a constituent section of MetSoc and, as such, shall operate within the Society and conform with the By-Laws of both MetSoc and CIM. The Section Chair shall be a member of the Board of Directors (BOD) of MetSoc. At each BOD Meeting, each Section submits an updated activity report, including: objectives, activities, planning, Committee membership and financial report. The affairs of the Section shall be administered by an Executive Committee of maximum 4 members (depending on the size and membership in each particular Section). The Executive should include a Chair, a Secretary and the immediate Past President (if applicable), as well as a Treasurer (if necessary) whose term shall be three years. 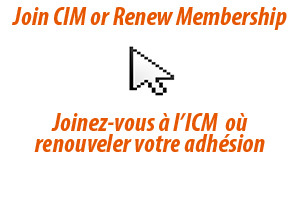 All members of the Section Committee must be Members of CIM. 50% +1 of the Section Committe membership, shall constitute a quorum. The Section Committee shall be as broadly representative and as balanced as possible of Canadian industry, government and universities from across the country. Section members avoid membership to multiple Sections. The Section utilizes the services of the Treasurer of MetSoc, unless the Section has received from the MetSoc Executive Committee approval for operating with its own Treasurer. Sections retain “autonomy” (overseen by MetSoc) on spending their funds (e.g., on education initiatives, student/speaker travel, free registrations, extra publicity, Section website development,etc. ), which are kept in MetSoc restricted accounts. All yearly budgets are submitted to the MetSoc Treasurer for approval by the MetSoc Executive Committee at the winter BOD meeting. Provision will be made for any surplus Section funds held in the MetSoc Treasury to be credited to the Section. Returns on investments maintained in Section’s restricted fund. Sections should normally hold a minimum of 2 meetings throughout a year one of which should be at COM, or CMSC, or a stand-alone conference event organised by the Section. The MetSoc management maintains a database of “best practices” on Section governance and administration that becomes available to the Sections, that may change from time to time and become an Addendum to the By Laws Appendix – Regulations for Sections. A Section that is not contributing to the Conference of Metallurgists (by means of organizing a Symposium) for 3 consecutive years and/or is absent from the Board for 2 consecutive years (i.e., 6 BOD meetings) is dissolved. A group of minimum 5 members may request to the BOD approval for the creation of a new Section. This group will initially be assigned by the MetSoc Executive to work closely with another established Section for a period of 3 years to engage in organising topical Symposia on the focus area of the proposed Section. If activities are proven sustainable (financially, member interest, participation, and involvement) as decided by the MetSoc BOD, the group will elevate to Section status. If the group is the result of amalgamation/consolidation of existing Sections, the above 3-year period will not be applicable. Ninety (90) days prior to the Annual General Meeting of the Section, the Chair, Immediate Past Chair and Past-Past Chair of the Section will form a Nominating Committee under the Chairship of the Immediate Past Chair of the Section. If there is a perceived conflict in the Nominating Committee, another Past Chair may be asked to serve as well. The Nominating Committee (not less than three) shall select, as required, the new Chair and Secretary and other members of the Executive (if applicable) to serve a three-year term.